INDIAN SPRINGS, N.V. — A nationally-recognized humanist organization is threatening to sue military officials after an atheist airman stationed at an Air Force base in Nevada was told that he must accept ‘so help me God’ in the reenlistment oath or his application will not be accepted. The airman was advised that officials could not accept the document with the statement crossed out, and was told to sign the oath without any adjustment. He refused. 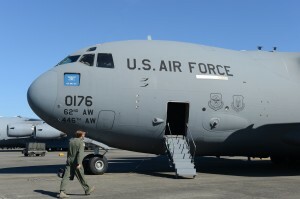 Air Force spokesperson Rose Richeson told the Air Force Times on Friday that the serviceman has until November to comply. The Air Force has also advised that the requirement cannot be amended unless Congress changes the law.